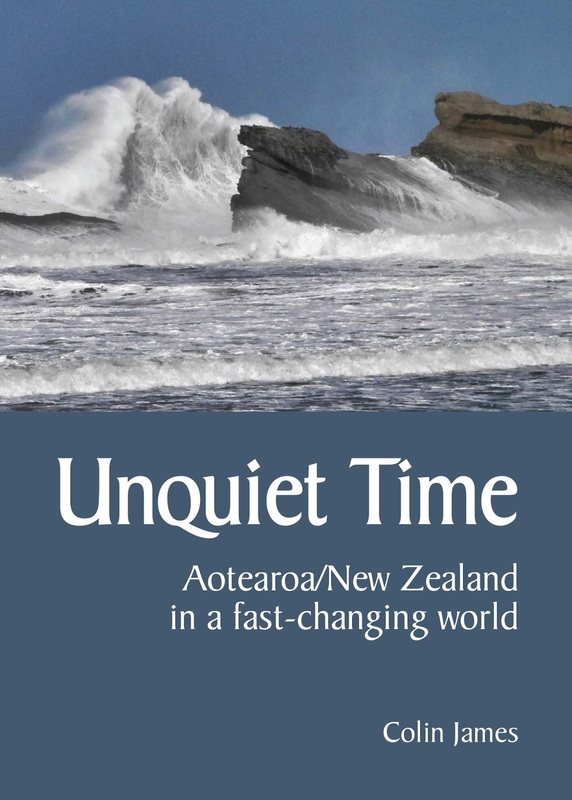 It was a return to roots when Sir Geoffrey Palmer QC launched Colin James’ new book Unquiet Time in front of a large crowd at the National Library last Tuesday. The pair first met in 1979 when Sir Geoffrey was a new MP and James was a fledgling political journalist. In his seventh book, James describes “a world in disorder” as it rebalances politically, economically and demographically, and explores how Aotearoa/New Zealand must navigate this challenging new landscape as it advances into the 2020s. The book dissects key global trends, including how technology is changing the way we live and ‘work’; looming environmental limits, climate change, and biosecurity and pandemic threats. It then assesses what these mean for New Zealand, examining the emergence of New Zealand’s independent foreign policy and international trade policy, as well as policy relating to Maori, biculturalism, and the environment. James predicts likely major shocks and argues for new thinking in many key areas. The turbulence described in the book finds an apt reflection in the current political scene. “The politicians have concocted an election like no other of the 16 I have covered,” reflected James. Journalist Colin James is a life member of the Parliamentary Press Gallery and the E Tu Union, and has specialised in politics and policy since 1969. 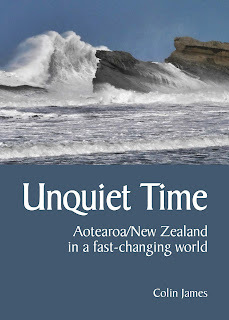 His writing has featured in many books and papers, and Unquiet Time brings together conclusions and future projections arising from numerous briefings to business, not-for-profits and government agencies, and contributions to conferences at home and abroad. He is also a senior associate of the Institute for Governance and Policy Studies, has an honorary doctorate from Victoria University of Wellington, and is a fellow of the Institute of Public Administration. Tel: 06 3771359 |Distributor: Nationwide Book Distributors, P O Box 65, Oxford, North Canterbury.